When it comes to aggressive dogs you might think groomers are the last people to talk to about handling this common behavior. However, dog groomers along with dog boarding experts are the usual people that find themselves in this situation. 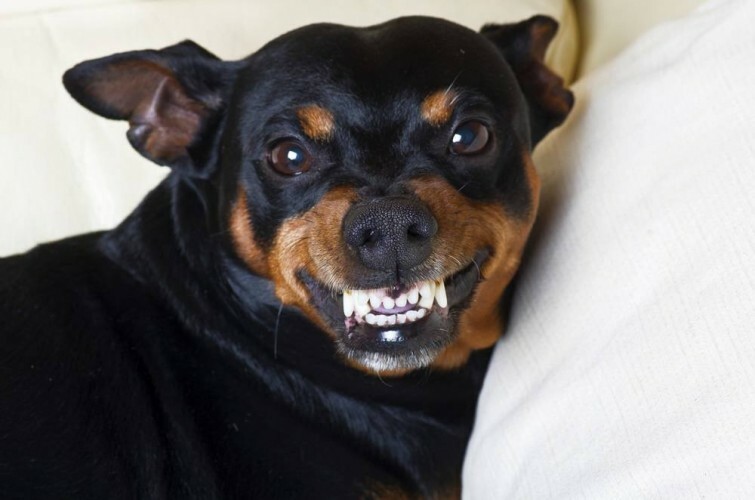 Here are some tips on how to calm down aggressive dogs. This tips are per the experts at Grandpaws Place, a premier dog boarding facility in Buffalo Minnesota. According to Grandpaws Place, dogs become aggressive when they are in unfamiliar territory or feel threatened. In order to soothe them down it is recommended to use a soft voice while petting the dogs. Groomers are able to make aggressive dogs feel right at home by providing them with their favorite treats. Allowing the owner also to help the dog get into the tub also can help if they are around but if not, they just quickly lift the canine into the tub. Once the bath is over, the groomer will then towel dry the god prior to moving them onto the groom table. Groomers restrain aggressive dogs by covering the dog’s face with a towel while moving it. They also use a loop or muzzles usually reserved for the most stubborn ones. Rest assured, neither of these devices can hurt your pet as they are for their own protection as well as the groomer. While restrained, groomers move very quickly to shear the dog, carefully not to accidentally cut them. According to Grandpaws Place the dog’s foot is held away from the dog’s body so they can get a good view of the nails while also keeping out of reach of its bite. When it comes to calming aggressive pets, you need to keep in mind that the key here is to teaching the pet to trust you and as you maintain that trust he will become less aggressive which can make grooming easier. If in spite of everything, the dog is still aggressive towards the groomer, a pill to help relax the pooch may be prescribed by the vet. There is also a spray called Rescue Remedy used prior to grooming to help calm down anxious pets. You can also check out our expert, Grandpaws Place on Facebook.